What a Monday to show up for... I should have called in. 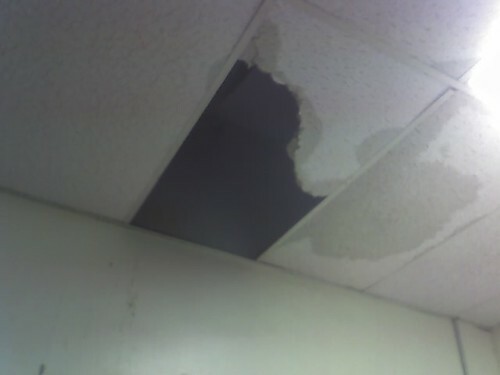 The mens bathroom above my lab flooded somehow over the weekend and subsequentially dropped water and ceiling tiles on top of my unsuspecting computer lab. Four computers got soaked, and everything on my desk drenched as well. I hate Mondays.